Today, we take a look at the state of venture capital and angel funding during the all of March, both in New York and nationally. Analyzing some publicly available data from our friends at CrunchBase, we break down the national aggregate statistics for all funding deals by stage of funding (Angel/Seed, Series A, Series B, and Series C+). The overall funding took a 26% dip in NYC in March from February levels despite the month of March having a few extra days. There was an impressive increase in both the dollar amount and average deal size for early stage rounds where the average seed was in excess of $2M and the average series A exceeded $10M, representing an increase of 194% from February levels where levels where unusually low. It is important to note that these rounds were not largely influenced by any aberrant rounds. Later stage activity (C+rounds) took quite a hit from February levels and were down in aggregate 44% after a big February. 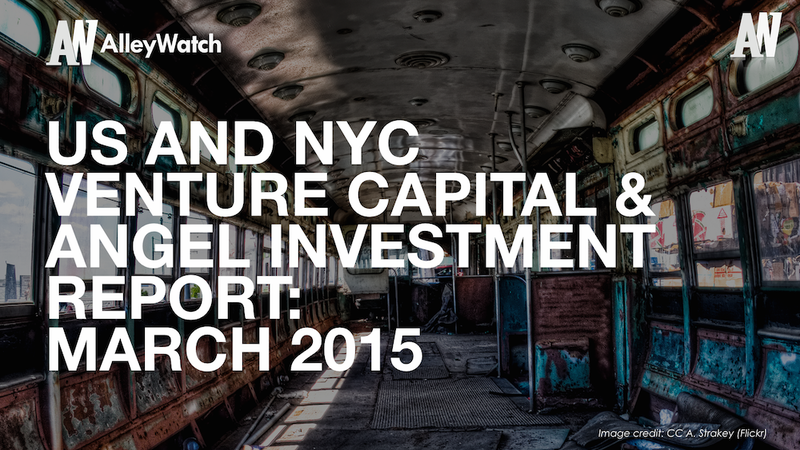 February and March combined represent aggregate funding that exceeds $1B in NYC.